Young Superstar Silambarasan is not leaving any stone unturned with his upcoming film 'Vaalu'. 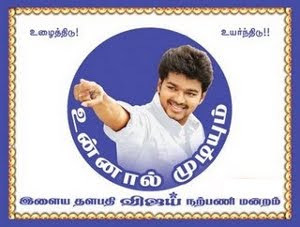 The film is produced by SS Chakravarthy of Nic Arts and is directed by Vijay Chander. Hansika Motwani stars opposite Simbhu in female lead role with Santhanam and VTV Ganesh ready to tickle your funny bones with their humour quotients. The shooting commenced before couple of months and the young superstar is taking scrutinizing efforts over completing the project as soon as possible as he is planning to release it for Diwali. Recently, the second schedule was completed and Simbhu has flown down to Mumbai for shooting the climax song for his other film 'Poda Podi' that has Varalakshmi Sarathkumar romancing him. The actor was earlier shooting for 'Vettai Mannan', which is temporarily shelved and will resume once STR is done with these projects. That A R Rahman is scoring music for a Dhanush starrer ('Mariyaan') for the first time is known to many. The unknown thing is that the Oscar winner, besides composing the tunes, has also lent his voice. 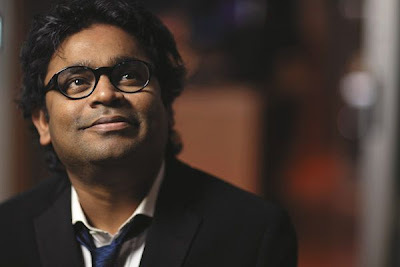 "Rahman has crooned the number 'Vizhithidu Nenje...' and it has come very good. The maestro's voice has done the much needed magic to the song," say sources in the know. They add: "The number was recently shot on the lead pair- Dhanush and Parvathy- and the visuals were extraordinary. Rahman's composition and the way the song has been canned will make it stand out from the list." Produced by Aascar Ravichandran, 'Mariyaan' is directed by Bharat Bala, who shares a close rapport with Rahman. In fact, it was this duo (Rahman and Bharat Bala) who gave us 'Vandemataram' in 1997. Yet another surprise for movie buffs from UTV Motion Pictures! Mugamoodi is all set for release on August 31st and Settai's teaser will be released along with this film. Mugamoodi, directed by Mysskin, stars Jiiva and Pooja Hegde as the lead pair. It is touted to be the first superhero film in Tamil, which has upped the expectation levels among the movie buffs. Its release turned even more exciting with G Dhananjayan Chief – South Film Business, Disney-UTV announcing that Settai's teaser will be released along with Mugamoodi. Settai is directed by Kannan and stars Arya, Anjali, Hansika, Santhanam and Premji Amaren.